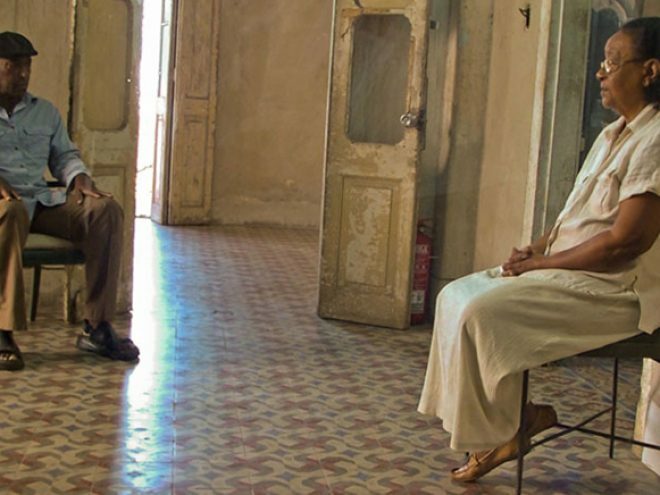 On the occasion of the 11th Havana Art Biennial, we had the opportunity to meet Norwegian photographer Crispin Gurholt who has been involved in his Live Photo series for 12 years. As an international artist, he has exhibited in Venice, Rome, Paris, Berlin and Copenhagen, and several major Norwegian art institutions. Live Photo consists essentially in preparing the location where the photo will be shot, but the camera will not pronounce itself beyond this moment; rather, the image will be the responsibility of the viewer, who must record, with swift clarity, the impact of its content. Thus, it is easy to imagine the interactive nature of each of these actions, which tend to occur at two levels—one, the artist’s intentions and another, the level of commitment that is reached between the installation and the viewer. Hence, subjectivity is multiplied and the photos gain nuances as well as intensity. The venue chosen by Crispin Gurholt in Havana for his Live Photo was an early 20th-century building in the Vedado district, which, I believe, served very well to break away from the archetypal idea that one has of this area. Through this venue, we could refer to what I would call “The Deep Vedado,” which contains the intensity of what is inside a perimeter, and at the same time feels like it is left outside. In this sense, Gurholt’s ability to capture this peculiarity and absorb it with the purpose of making his micro-stories more substantial is noteworthy. In this process, we can refer to a “Vedado of resistance,” which is becoming essential to the other neat and tidy and somewhat elitist Vedado. Anthropology and photography seem to intersect in a serious relationship that leaves the possibility of searching closely into little frequented crevices—in their passing, they seek alliance with a colorful and advancing universe. From the skill and accuracy shown in the installation, one infers the experience accumulated by Crispin, his visits to other countries, his experiences with other bodies and under other light.